Thank you. We've always tried to put you—our users—first, aiming to provide the best tool for editing and collaborating on LaTeX documents online whilst simultaneously growing as a business and as a team. These past two years have seen some of the biggest changes—and the biggest advances—as Overleaf and ShareLaTeX joined together to create Overleaf v2. It's not always been the simplest of integrations, but we've done our best to make it a smooth transition and get it all running as one. Whether you're someone just starting out, creating your first LaTeX documents on Overleaf, or someone who's been writing since early days of TeX itself, we're doing our best to make Overleaf easy and convenient to use regardless. We appreciate all the love and support you show us (which is shared internally on our #overleaf-testimonials Slack channel! ), and are looking forward to the next four million users...and the learnings that will undoubtably bring! The 3rd Annual DigitalAgenda Impact Awards took place in London on the 7th March 2019, and once again highlighted the latest champions of #TechForGood across the UK. The Digital Agenda Impact Awards celebrate digital innovations that improve people’s lives and the world around us. They are open to any business, government department or non-profit using digital products or services for positive social or environmental benefit. The awards are grouped into three themes (People, Society and Business) across 12 categories, including Health, Diversity, Investment and Education. 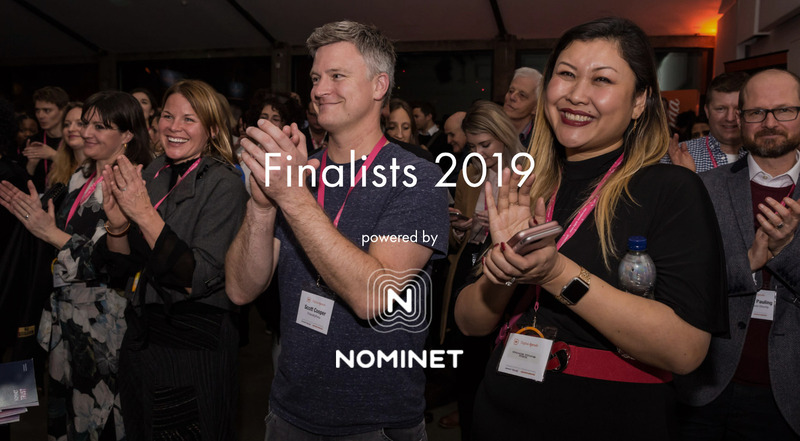 Overleaf is delighted to be one of three finalists from across the UK selected in the Education category, and one of 36 finalists out of 300 nominees overall who are leading the way in digital transformation in all sectors. The Top 100 report was jointly compiled by independent research agency Beauhurst and SyndicateRoom to highlight the 100 fastest-growing private companies in the UK by focusing on company growth over the three years from 2015 to 2018. London, UK and Melville, NY – 22 October 2018 — Overleaf, a collaborative cloud-based writing and reviewing tool, and AIP Publishing announce a new partnership to provide AIP Publishing authors with a new, enhanced authoring template and simplified submission process. Improved functionality supports seamless and effortless collaboration between millions of authors across the world. September 26, 2018 — London, UK — Overleaf has updated its popular collaborative writing and publishing tool to offer enhanced collaboration and editing features. Bringing together the best features of both the original Overleaf and ShareLaTeX tools into a single cloud-based platform, the new Overleaf has been designed to enable students and researchers at academic institutions, industrial laboratories, technology companies and publishers to benefit from a powerful centralized documentation process.